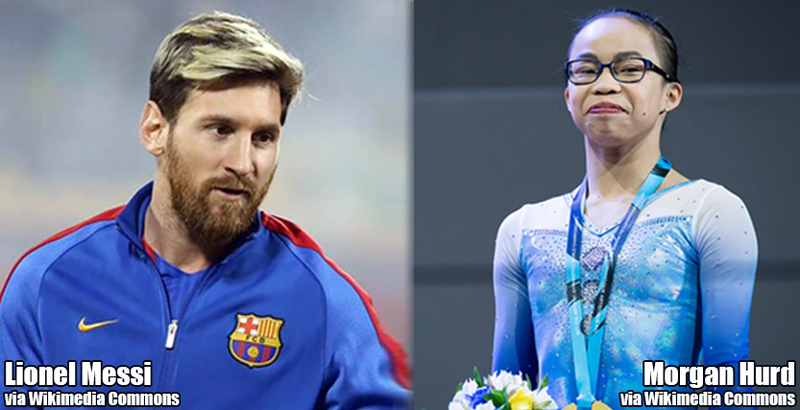 DAPHNE, Ala. – Argentinian soccer star Lionel Messi and American gymnast Morgan Hurd have been named the United States Sports Academy’s Male and Female Athletes of the Month for October. Messi’s hat trick led Argentina to a 3-1 win over Ecuador on 10 October 2017 and qualified the team for the 2018 Fédération Internationale de Football Association (FIFA) World Cup in Russia. After Argentina fell behind by one point early in the match, Messi scored twice in the first half and iced the win with a goal in the second half. Hurd was crowned the new women’s all-around world champion at the 2017 World Artistic Gymnastics Championships in Montreal on 7 October 2017. Hurd scored a total of 55.232 points on vault, uneven bars, balance beam and floor routine to capture the title. The following day, Hurd took silver on the balance beam to close out the World Championships. She also earned the United States Olympic Committee’s Best of October women’s award. The second place finisher on the men’s side was American football player J.T. Barrett and third place went to Swiss tennis player Roger Federer. Barrett, the Ohio State quarterback, completed 33 of 39 passes for 328 yards and four touchdowns to lead the Buckeyes to a 39-38 come-from-behind win against second-ranked Penn State on 28 October 2017. Barrett completed 13 of 13 passes for 170 yards and three scores in the fourth quarter to lead the Buckeyes back from a 35-20 deficit. Barrett passed for 914 yards, 12 touchdowns and zero interceptions and rushed for 202 yards and three touchdowns in October. Federer defeated top-ranked Rafael Nadal of Spain 6-4, 6-3 to capture the Shanghai Masters title on 15 October 2017 in China. Federer also won the Swiss Indoors Basel title on 29 October, defeating Juan Martin del Potro 6-7(5), 6-4, 6-3 to clinch his seventh ATP World Tour title of the season. This was Federer’s 95th career title, which moved him into second place, ahead of the Czech Republic’s Ivan Lendl, on the Open era list. The second place finisher on the women’s side was American golfer Cristie Kerr and third place went to Kenyan runner Joyciline Jepkosgei. Kerr shot a 15-under-par 269 to win the Sime Darby LPGA Malaysia title on 29 October 2017. Kerr hit a 30-foot birdie on the final hole, one of 20 birdies she made in the final three rounds at the tournament in Kuala Lumpur. It was her second win of 2017. Jepkosgei broke the world half marathon record with a time of 1:04:51 on 22 October 2017 in the Valencia Trinidad Alfonso Half Marathon – an International Association of Athletics Federations (IAAF) Gold Label road race in Valencia, Spain.  Each month, the public is invited to participate in the Academy’s worldwide Athlete of the Month program by nominating athletes and then voting online during the first week of every month. The online votes are used to guide the Academy selection committee in choosing the male and female monthly winners, who then become eligible for selection to the prestigious Athlete of the Year ballot. A worldwide public vote on the annual ballot is used to guide the committee in making the final selection. The Athlete of the Year Award is part of the United States Sports Academy’s Awards of Sport program, which each year serves as “A Tribute to the Artist and the Athlete.” The Academy presents the awards to pay tribute to those who have made significant contributions to sport, in categories as diverse as the artist and the athlete in several different arenas of sport. The awards honor exemplary achievement in coaching, all-around athletic performance, courage, humanitarian activity, fitness and media, among others. The Academy’s American Sport Art Museum and Archives (ASAMA) annually recognizes these men and women through its Sport Artist of the Year, Honorary Doctorates, Medallion Series, Distinguished Service Awards, Outstanding Athletes, and Alumni of the Year awards. This is the 33rd year of the Academy’s Awards of Sport program. Founded in 1984, ASAMA is dedicated to the preservation of sports art, history, and literature. The ASAMA collection is composed of more than 1,800 works of sport art across a variety of media, including paintings, sculptures, assemblages, prints and photographs. The museum is open free to the public from 9 a.m. to 4 p.m. weekdays. For more information, go to www.asama.org.